Thessaloniki, or lovingly called Salonika by its citizens, is second largest city of Greece, and the capital, chief port and commercial center of Macedonia—the kingdom of Alexander the Great. Its importance is such that, Greeks often refer it as the country’s ‘co-capital’. Its treasures of surviving monuments have made the city a living museum of Byzantine art. The city stretches over 12 km in a bowl formed by low hills facing a bay. The city stands at the head of the Thermaic Gulf. It was founded in 315 BC by Kassandros, King of Macedonia, and was named after his wife, Thessaloniki, sister of Alexander the Great. Greece covers 130,000 sq km and is located in the southeastern portion of Europe. It is bordered by the Mediterranean Sea on the south, the Ionian Sea on the west, the Aegean Sea on the east, and the north by Albania, Bulgaria, Turkey and Macedonia (formerly Yugoslavia). The country also includes a great number of islands. Here, the influence of the east is more pronounced, not just in the food, but also in the relaxed lifestyle. Thessaloniki is a big city with an almost college town feel. The city’s strategic location on the Thermaic Gulf ensures brisk trade between Greece and the Balkans. The Roman emperor Galerius even made it the imperial capital of the eastern half of the Roman Empire. The old town was surrounded by strong walls that are among the finest surviving examples of city fortification that exist in the world today. Thessaloniki was first established in 316 BC by Kassandros who named it after his wife, Thessaloniki, half sister of Alexander the Great. The name literally means ‘Victory over Thessaly’. The Apostle Paul first brought the message of Christianity here in 50 AD and in 303 AD, Demetrius, a Roman officer died here in martyrdom becoming the holy patron of the city. After Constantinople, Thessaloniki was the next most important city of the Byzantine Empire, and even today abounds with magnificent examples of Byzantine art and architecture. In the 15th century, the city became a refuge for Jews exiled from Spain until they were sent to the concentration camps during the Nazi occupation. Thessaloniki became a part of the modern Greece in 1913, but was burned in 1917 which left around 70,000 people homeless and added to this mix was the influx of refugees from Asia Minor. The city came under a lot of pressure till it was rebuilt in the 1920s. Modern day Thessaloniki is a lively city bustling with life and movement. Old houses, ancient structures and monuments and neoclassical buildings, stand alongside modern architecture. It is the place to experience the old and the new at the same time! The Arch and Tomb of Galerius, or more commonly known as the ‘Kamara’, is an ornate monument, made with a red colored stone, made to celebrate Galerius’ victory over the Persians in 297 AD. 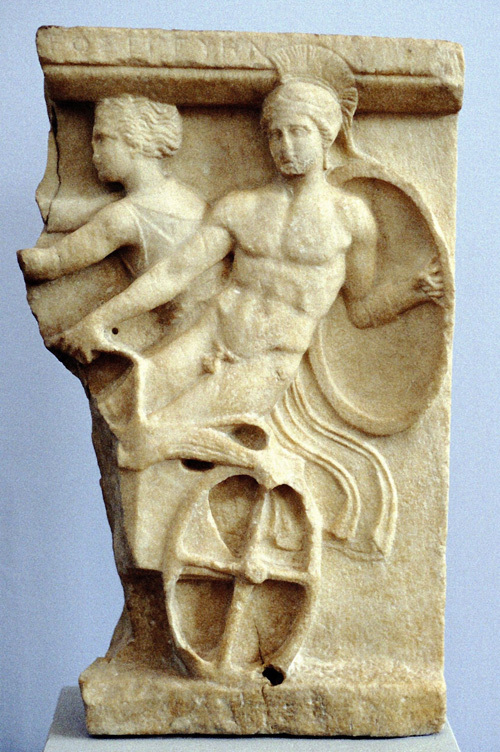 The archway was built in 305 AD and reliefs were sculpted depicting scenes from the battle. The Upper Town or ‘Ano Poli’, with its beautiful wooden houses overhanging the winding streets is a reminder of the Ottoman Thessaloniki. This area also contains some of the city’s oldest and most important churches. Other interesting sites are the Roman market and theatre, Roman baths, the Kyvernion (former residence of the King and Queen of Greece), and the Nymphaion, a monopteral building. 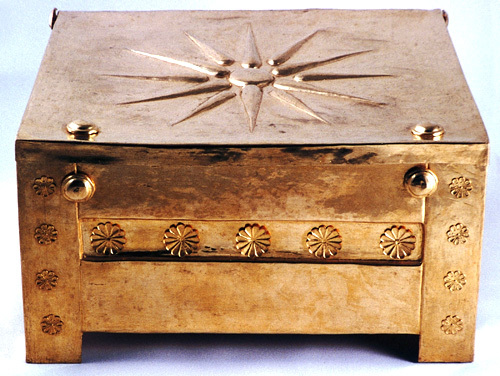 If you have some time to spare, do not miss the opportunity to visit Vergina, just 48 km from the city. It was the first capital of Macedonia and has extensive ruins including the tomb of Phillip and the summer palace of King Antigonas Gonatas. There are numerous churches to visit, if not for religious or spiritual purposes, then for their historical and aesthetical significance. The Rotonda, or the Church of Aghios Georgios, is a domed building from the 4th century AD, which served as a Mausoleum for Emperor Galerius, and is now the church of Saint George. During the Turkish occupation it used to be a mosque and the minaret still stands as a reminder. The church is built upon former Roman and Greek pagan ruins. The Church of Ossios David built in the late 5th century AD, is the chapel of the Latomos Convent, an early Christian church that still stands in the city’s Turkish quarter. The church of Agios Dimitrios , was completely rebuilt in 1948 after it had been destroyed by fire. It is the most important church in the city, lying above the remains of the agora and the Roman Forum. It has three side-chapels, a museum, and underground catacombs that was once Saint Demetrios’ (the city’s patron saint) imprisonment chamber. Some other churches that should be on every visitor’s list are the Crypt where St Demetrios was imprisoned, tortured and buried; Agia Sofia from the 8th century is a replica of the original in Constantinople; Panagia Halkeon , a cruciform church built in 1028 AD; Agia Ekaterini is a well preserved 13th century structure with magnificent frescoes; the Agfi Apostoli of the 14th century during the time of the Byzantine Pateologos imperial dynasty retains its olden splendor externally, and in its interiors as well; the Agios Nikolaos Orfanos is a 14th century church rich with frescoes; and the Profitis Ilias, built in 1360 upon the ruins of a Byzantine palace by the monk Makarios Houmnos. The White Tower Museum takes you through the history and art of Byzantine Thessaloniki between 300 and 1430 AD. The White Tower of Thessaloniki (Lefkos Pyrgos) has been known by many names and is now home to the Museum of Byzantine Cultures. It was constructed in the 15th century and served as a defensive bulwark, an infamous prison, and even as a place of execution because of which it was also called the Bloody Tower! It has now been put to better use as a home to a collection of sculptures, frescoes, and other interesting artifacts that portray the history and culture of the city. The view from the top is stupendous. The city has many more museums to offer for people who want to dig deeper into the essence of the city. The Archaeology Museum near the White Tower has great displays of sculpture from the archaic, classical and Roman periods; the museum of Ethnological and Popular Art displaying costumes and objects of the last 250 years of Greek national life and culture; the Museum of the Macedonian Struggle has exhibits from the years of local national resistance; the Gallery of Fine Arts showcases important works of Greek and foreign painters; and the Museum of Attaturk, the founder of modern Turkey who was born in Thessaloniki.